Hart Island is located on the eastern Edge of the Bronx and is the largest tax-funded cemetery in the world. Prison labor is used is used to perform the daily mass burials that number close to one million. “There are a few ways to end up on Hart Island. One third of its inhabitants are infants—some parents couldn’t afford a burial, others didn’t realize what a “city burial” meant when they checked it on the form. Many of the dead here were homeless, while others were simply unclaimed; if your body remains at the city morgue for more than a few weeks, you, too, will be sent for burial by a team of prisoners on Hart Island. These practices have given rise to dozens of cases where parents and families aren’t notified in time to claim the body of their loved one. It can take months (even years) to determine whether your missing mom, dad, sibling, or child ended up at Hart.” It has been closed to the public since 1976 when the Department of Corrections took control of the site. If you discover that a loved one is buried there, it’s almost impossible to get in and even if you were able to gain access to the island, you would not be able to visit a specific grave. There are no burial markers at the mass graves of Hart Island. 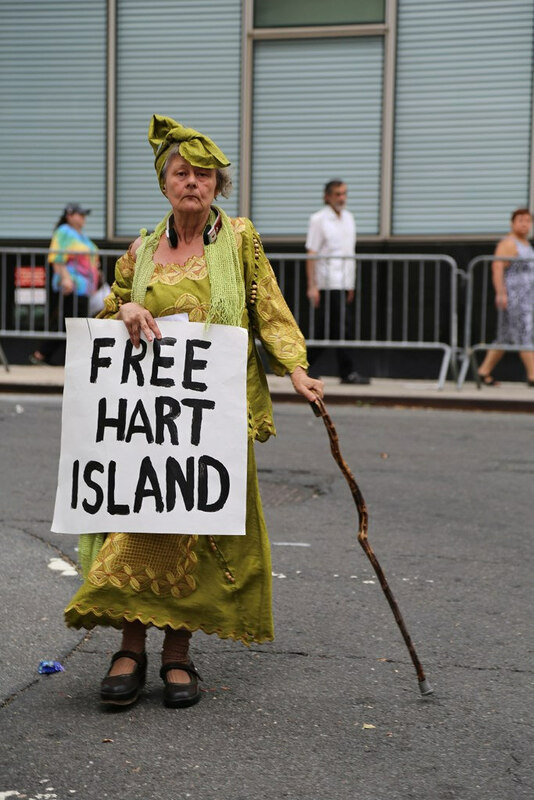 The Hart Island project led by artist, Melinda Hunt, is a organization fighting to change this. She has been working for decades to transfer control of the burial site from the DOC to the Parks Department so families can visit their family members’ last stop.